5.) Obviously, the biggest news is our new addition! You can find a post all about our sweet baby boy HERE. I'm starting to figure out what works for us, especially considering Lucy's lack of mobility. She did finally take her first steps last week, and has been testing out this whole walking thing ever since! She just needs to be consistent and help mama out! 4.) Since Mother's Day is 2 days away, check out my Mother's Day Gift Guide for great last minute gift ideas for mom (or yourself!). You can thank me later. 3.) We've all really been loving this warm, sunny weather! My mom is staying for the week with my littlest sister, Lila and we took the girls (and little mister) to the park to enjoy a picnic lunch and a chance to get out of the house and run off some energy! 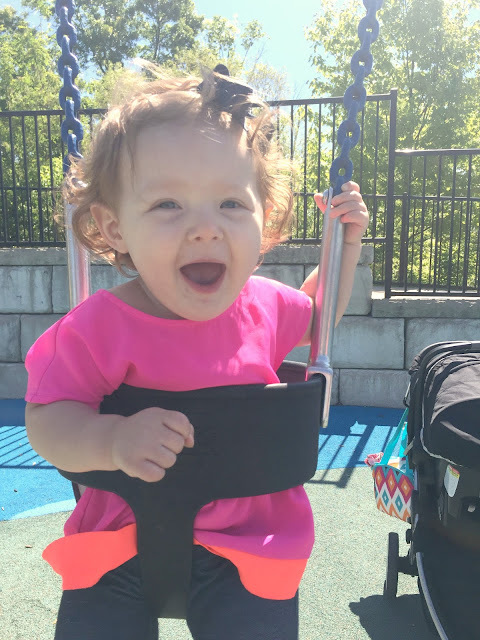 Lucy loves the swings! 2.) 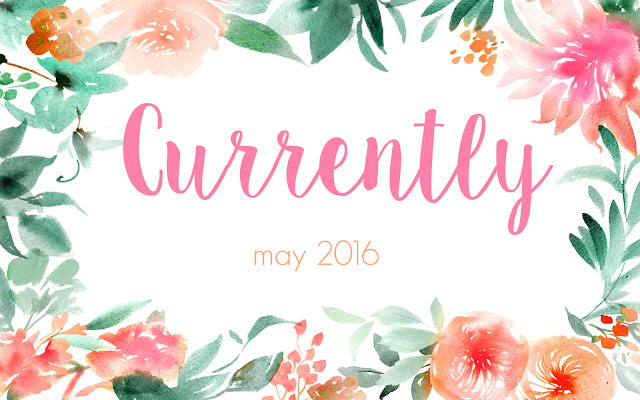 Well, it's finally May and that means another installment of Currently is up on the blog! Go back and check it out HERE. I love sharing a little of what I'm reading/celebrating/sipping and more, and finding inspiration from others in the link up! 1.) 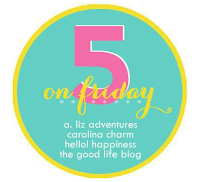 I was so thrilled to co-host yesterday's Thursday Fashion Files with Carrie & Jill! This striped midi dress is the best postpartum outfit ever...seriously, it feels like I'm wearing pajamas! And I can nurse in it, too! Win, win! Check out a full outfit post and view the TFF link up HERE. Now I'm off to do a little more house hunting, enjoy some time with family, and kick off a celebratory weekend! What do you have planned for this sunny, warm weekend? I'm super excited to enjoy Mother's Day as a mama of two, plus treat my own mom and mother-in-law for the day!